Die Forschung am Zoologischen Museum konzentriert sich vor allem auf Untersuchungen zur Taxonomie, Phylogenie und Evolutionsmorphologie von Arthropoden unter Anwendung unterschiedlicher Methoden (z.B. EM, micro-CT). Der Schwerpunkt liegt dabei auf Spinnentieren und Insekten. 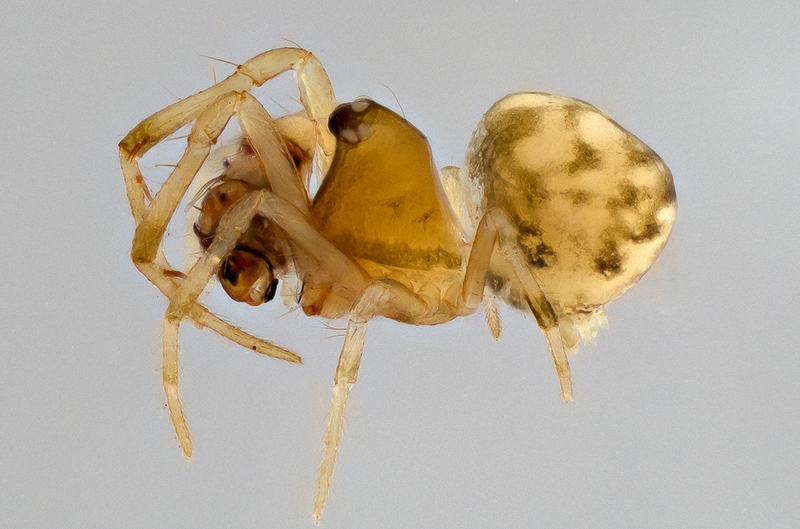 In einem weiteren Forschungsschwerpunkt werden evolutionsbiologische Fragestellungen zur sexuellen Selektion bei Spinnen (Araneae) bearbeitet, wobei sich diese Untersuchungen insbesondere auf Prozesse nach der Kopulation fokussieren. Mysmenids are distributed worldwide and live mainly in leaf litter and other cryptic places in humid habitats. With only around 100 described species, the diversity of mysmenids is clearly undersampled. In the last decades, numerous undescribed species of this family have been collected and/or exist in museum collections around the world. In the current project, we focus on the mysmenid diversity of Argentina and Madagascar from where no species has been reported yet. Although a considerable number of species are studied so far, data on sperm morphology are scattered and a comprehensive analysis considering all levels of organization (aggregates, cells and cellular components) is still lacking. Especially Synspermiata are of high interest due to the high complexity in sperm structures as well as in the gross morphology of the male genital system. For example, all types of transfer forms (sperm aggregates formed at the end of spermiogenesis) reported for spiders are present in the Haplogynae. In order to reconstruct and understand the evolution of the spermatozoa and also the male genital system in spiders, especially in Araneomorphae, comparative data on basal Araneomorphae (i.e. Austrochiloidea) and Haplogynae are urgently needed. To ensure a consistent and robust character conceptualization, a reinvestigation of certain taxa will be necessary. This will not only allow the application of new techniques, i.e. 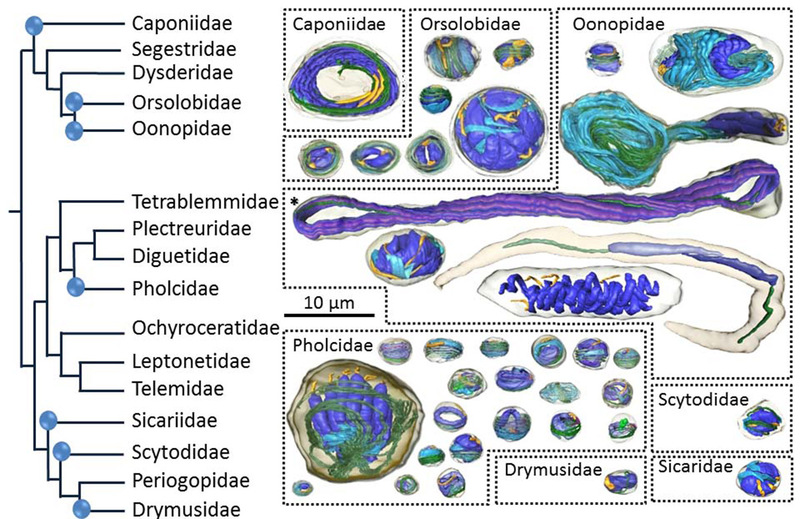 3D reconstructions, but also lead to comparable data necessary for explicit homology statements of sperm structures among spiders and other arachnids.